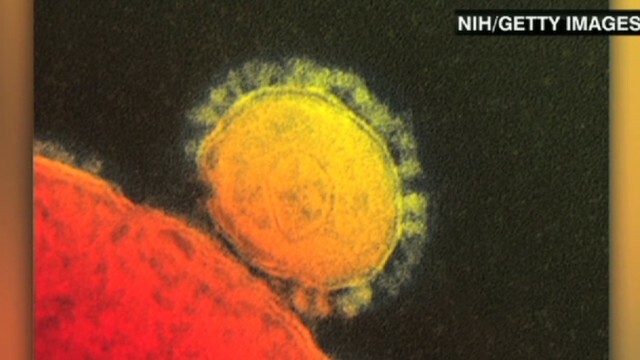 The virus is "a threat to the entire world," the World Health Organization's general director said. A new SARS-like virus recently found in humans continues to spread - with the worldwide total now at 49, the World Health Organization said Wednesday. Well be still my heart! Theyve finally added a new thread! Key words so far in reports of spreading MERS-CoV are "close human contact," "prolonged" contact, and "hospitals." I don't want to buy any viruses. Well, I hope it isn't in the hspital I had to be at today, or will have to be at Friday. OTOH, I have no intention of traveling to Saudi Arabia. Wow. You have really excellent vision, rupert. YOU have to go to the hospital @ banasy? I sure hope youre ok. And they sure havent given much info here on this virus have they? Prolonged human contact? Well I've got nothing to worry about. Anything serious banasy, or just volunteering? Reading to shut-ins? No, nothing serious; just some minor outpatient surgery. No biggie. Had to get the check-in/bloodwork stuff out of the way. Oh and @ banasy theres a message for you on the Egyption thread that might cheer you up! Thanks, @chrissy. I just read it. Phew! Lol @ banasy was that (sorry, C) at me? Damn wings anyways lol. Tigers are doing good tho. Hi banasy..hope your doing well. With a player like Seabrook it was pretty much a given wasnt it @ banasy? @Jeff Frank: finer than frog hairs, thanks for asking. Lol @ banasy, i had a feeling thats what you meant. Sports season really makes me miss scottish mama even more tho so its kinda bitter sweet ya know.